Finally, we’re up and running. 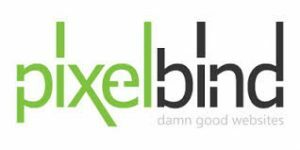 Welcome to PixelBind.com. I’ve been trying to get a blog up and running for a little over a year now. I finally sacrificed a few days over the weekend to code out my theme. I know I’ll have to adjust it here and there, but for now, it’ll do the job. Let’s start writing and sharing already! I come across little snippets of code, or simple methods daily and thought it would be a great way to give back if I started a blog of my own. Thanks for visiting – first blog post… complete!